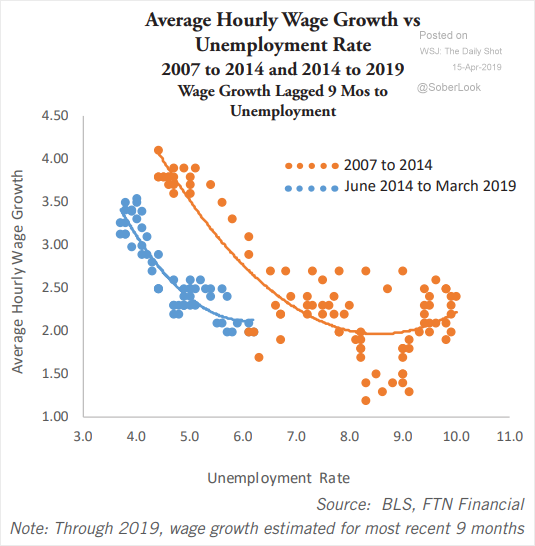 The United States: This scatterplot shows the nation’s wage growth vs. the unemployment rate. 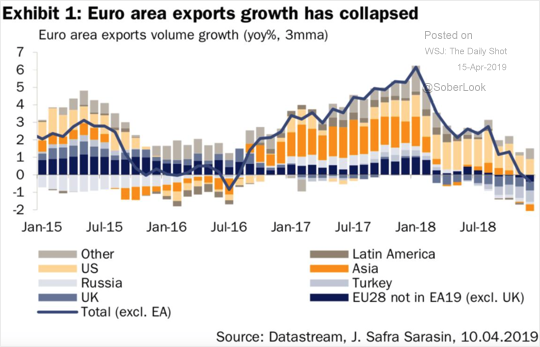 The Eurozone: Here are the destinations of the Eurozone’s exports. 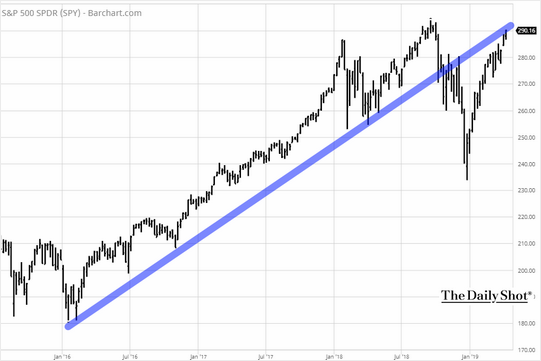 Equities: The S&P 500 is back on the trend line. 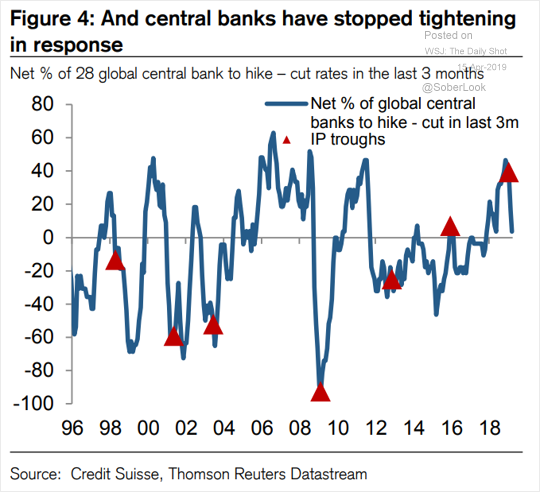 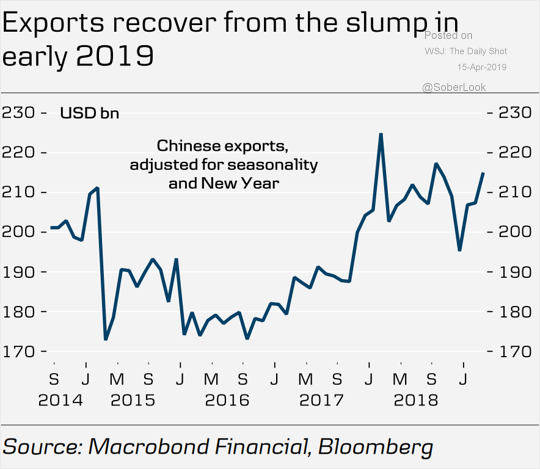 Global Developments: Central banks have stopped tightening.